Social media management tools: What is TweetDeck? Posted March 17th, 2011 by Codastar & filed under Codastar News. This is the first in a series of posts that we’ve written in order to give you an insight into ways to manage your social media activity. This week, we’re going to be looking at social media management tool, TweetDeck. 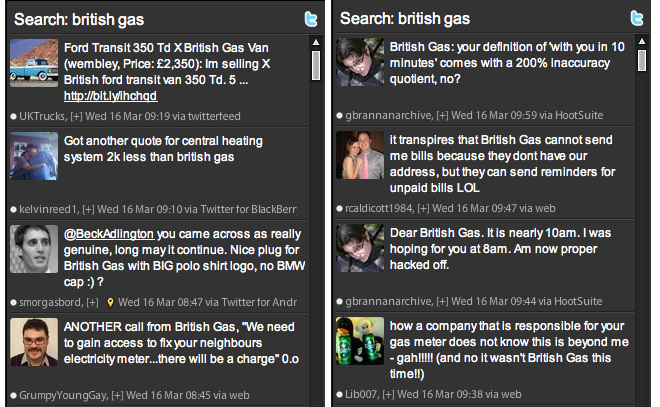 TweetDeck is a personal browser that you can use on your computer or download to your phone or tablet device. It lets you connect with your contacts across a range of different platforms, including Twitter, Facebook and LinkedIn. It works in real-time, which means everything updates instantly in front of you. The TweetDeck interface allows you to personalise and customise your social media activity, so you can set up separate columns for different groups of people or searches. For instance, if your main priority is finding current information about the health and fitness service industries, you can set up a specially dedicated column to follow those particular lists and accounts. If you’re keen to see if anyone has mentioned your company or one of your services, you can set up a dedicated column that conducts a constant search of every tweet, not just the ones you follow. This means you don’t have to do the hard work and scroll through hundreds of tweets to find the information that’s important to you. If you have a lot of different accounts it’s a great tool as you can add more than one, so no more signing in and out of Twitter again with a different username. You can also schedule tweets and updates around you, so if you’re going to be in meetings you can plan in advance.